The Coathangers tell it like it is on new song 'F The NRA' - tune in now. The band's incoming album 'The Devil You Know' will cause a ruckus on its March 8th release, with their passionately intelligent songwriting forging fresh paths. New song 'F The NRA' could scarcely be more timely, a seismic treatise on the sickness that has long since taken hold in America. Managing to be both poignant and hard-hitting, 'F The NRA' is anthemic without being trite, making its point explicit. 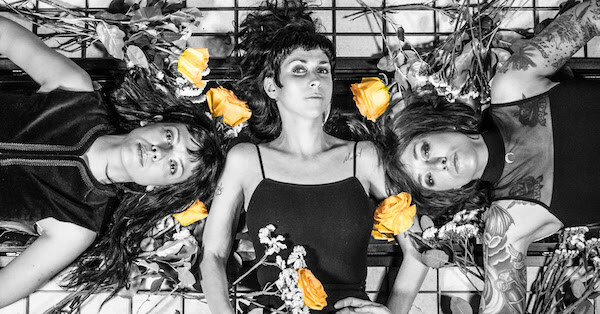 The song is accompanied by a full essay pieced together by the band, including words from The Coathangers alongside Kathleen Hanna (Bikini Kill), Brendan Canty (Fugazi/The Messthetics) and Dennis Lyxzen (Refused, International Noise Conspiracy). "I do not take the freedom of expression that all U.S. citizens are granted lightly. The band was confident that we wanted to put ‘F the NRA’ on the record. It provided a personal catharsis and a sense of empowerment in the wake of the immense feeling of helplessness that was weighing heavily on us as we coped with continuous reports of mass shootings." "It was not until those around us started warning us of the repercussions we could face, did we realise the risk involved in yelling at the giant. My ingrained fear of speaking out came back to me. Yet the reason I am a musician is because of a need to express my truth, personal or political. I began to question everything: the rights of an artist, the responsibility of being political, the fear of backlash, and the desire to be heard." 'The Devil You Know' will be released on March 8th.